ApSIC has released Xbench Connector for Memsource. It eliminates the need to manually export files from Memsource into Xbench to run QA passes with this software. 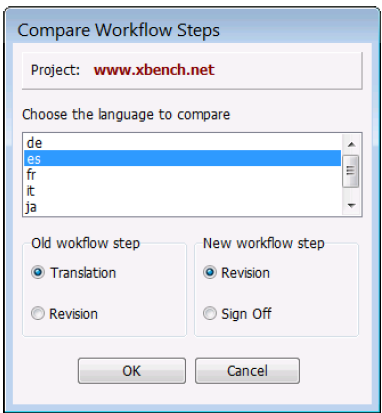 Project managers who rely on Xbench for QA can save a lot of time and effort. With the connector you can browse your Memsource projects on Xbench and can run a QA pass for all relevant files directly. 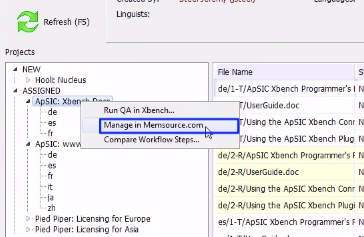 If there is a problem in the text that requires editing, you can click on “Edit Source” to open the Memsource Editor right at the segment that is currently selected in ApSIC Xbench. All modifications will be automatically saved in the online document. You select a project in Xbench and go to Memsource PM dashboard to manage it by right-clicking on the project name and selecting “manage in Memsource.com”. If your Memsource project has several workflow steps, you can also choose the workflow step for the QA pass, and compare two workflow steps in the project tree. It is useful to assess the work of the reviewer or to make a report on how much effort it took to edit the text.